Guys as you know Whatsapp is the most Popular Messanger available in the Market for Mobile Phones.Unfortunately if you dont own a Smart phone then you might not be able to use whatsapp. But don’t worry today we Will learn How to use Whatsapp On PC as well. You can Use it On both Windows and Mac. 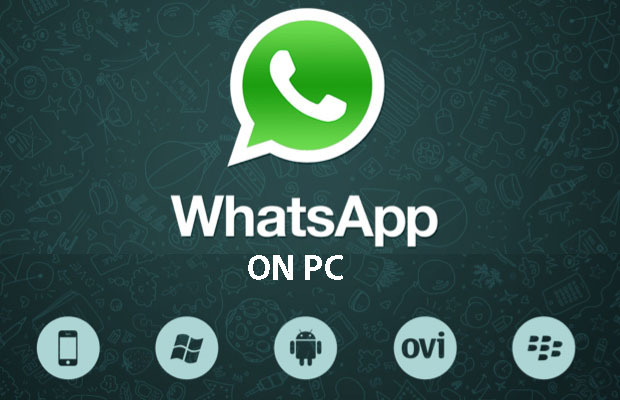 Let us See How to Use Whatsapp On Windows and Mac PC. To Run Whatsapp on Pc, We will Require Android Emulator, Android Emulator Helps us to Run Whatsapp on PC. Step 1: Youwave And Bluestack Are the Two Android Emulator which enable us to Run Whatsapp or any other Android App on PC. Then Click on the Tab ” Social ” and select ” Whatsapp ” and Install it. Step 3: If you Go for Youwave which I am Using On My PC then just download and install. Now download Whatsapp.apk and move the downloaded file to PC directory. whatsapp.apk file in to that directory . Then Click on View then Redraw Icons. Now You will see Whatsapp icon . After Installing Whatsapp on Youwave or Bluestack you have to enter Mobile number which is not used earlier For Whatsapp account. Then they will take 5 Minutes to verify and will send you Code. Enter that code and thats all. Note : You won’t Have any Contact, You have to manually Enter Contacts and Save them. I hope This tutorial will help you . Bluestack has a problem of Graphic Card. Doesnt Work in some Pc. Go for YOUWAVE. If you have less than 2GB RAM than it can not run. why is my video files converted to exe files, i can still play it ? could u please help with the key for youwave or any link from where i can download full version of youwave. You will have to add Contacts Manually..
great postyou have here, i have tried a lot of tutorials from different sites about whatsapp but your still stands out. how do you save files that are sent to you on whatsapp when your using the pc version? I have installed youwave. when i want to instal whatsapp, i am being told that it requires cellular internet connection. Can’t i use ethernet connectio? dis post / article has helped me. I recomend dis post / article 2 ppl who want 2 download whatsapp for pc. wen am trying to add contacts…its showing “unable to connect to server” ….what should i do?? You need add contact manually. I am afraid you cant do that. I have downloaded youware and whatsapp.apk and is showing it in the list but when i go to whatsapp it says unfortunately whatsapp has stopped. what to do ? Did you give the software admin privilege? i have install bluestack but i can’t able to share pc file on whats app.. what to do? You cannot use Whatsapp on mobile after that. Whatsapp can only be used on a single device at a time. Hell Whatsapp… ! Your article on WhatsApp is great. This is a great news that we can also use WhatsApp on our PC also. You have provide great steps how to use WhatsApp on PC. Thanks for sharing such a nice article on WhatsApp. Guys,If u install bluestacks,PC speed will reduce. Just bought MAC couple of days back, and was looking for the same, i knew about windows but not about MAC. Thanks.